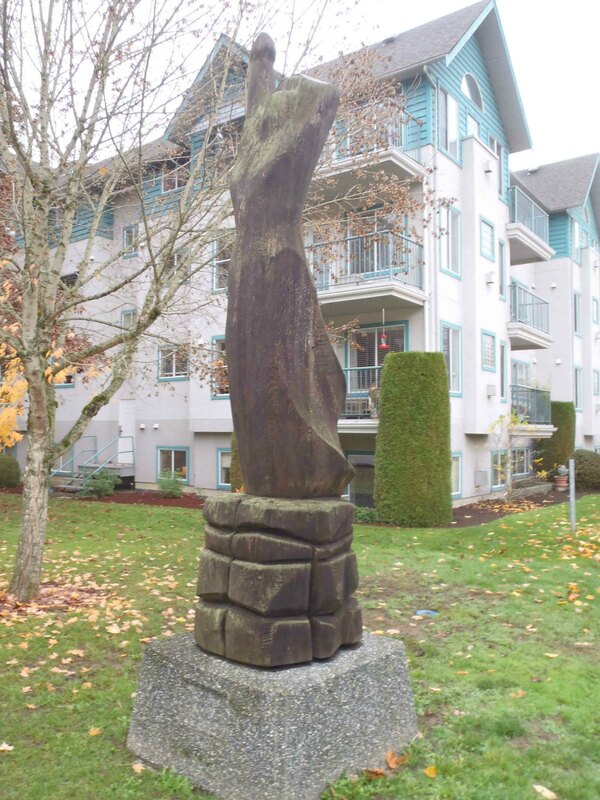 The La Fille Des Dunes carving stands in Duncan’s Centennial Park. 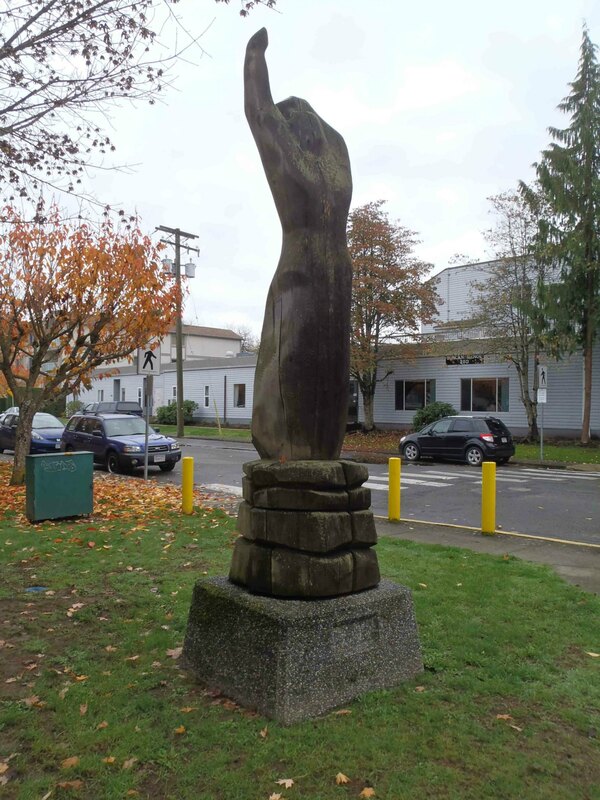 It was carved in 1988 by Quebec sculptor Claude Tardif as part of Duncan’s sister city program with Montmagny, Quebec. 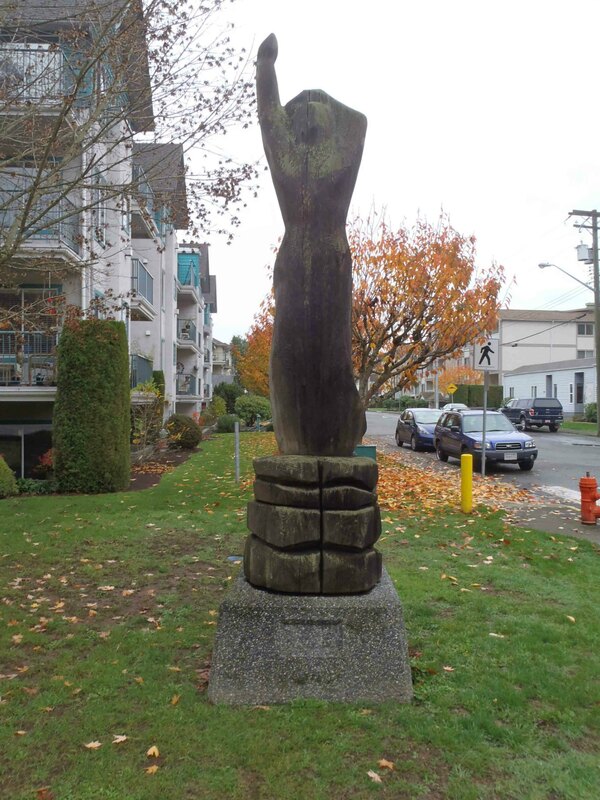 The City of Duncan invited Claude Tardif to Duncan to create this piece. La Fille Des Dunes sculpture, Centennial Park, Duncan, B.C.